Spring is officially among us and Rocky Mountain Trail wants to help you celebrate it with great deals on top name brand products! For a limited time only, you can get 20% off on any one full- priced item with the promo code SPRING2014. You can also find great spring deals on Adidas, Columbia, PrAna, and more! We’ve got new 2014 Adidas shoes and apparel, a new spring dress collection from PrAna, and are still offering remarkable Winter Clearance deals! 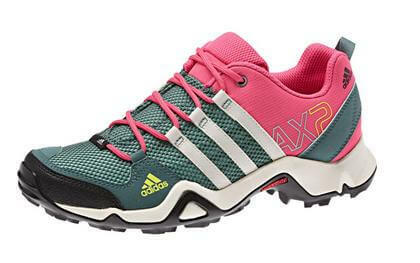 Get motivated to get outdoors by saving 25% on these Adidas Women’s AX 2 Shoes. A fast, lightweight low-cut shoe for hikes and multifunctional us with Enhanced grip, EVA cushioning and adiprene® support. Go ahead, check out www.rockymountaintrail.com and find the items that are just right for you! Whether you’re gearing up for spring, preparing for summer, or trying to save for next winter, Rocky Mountain Trail has go you covered!